August kicks off National Hair Loss Awareness Month and would you be surprised to learn that 40% of American women suffer from this hair loss? 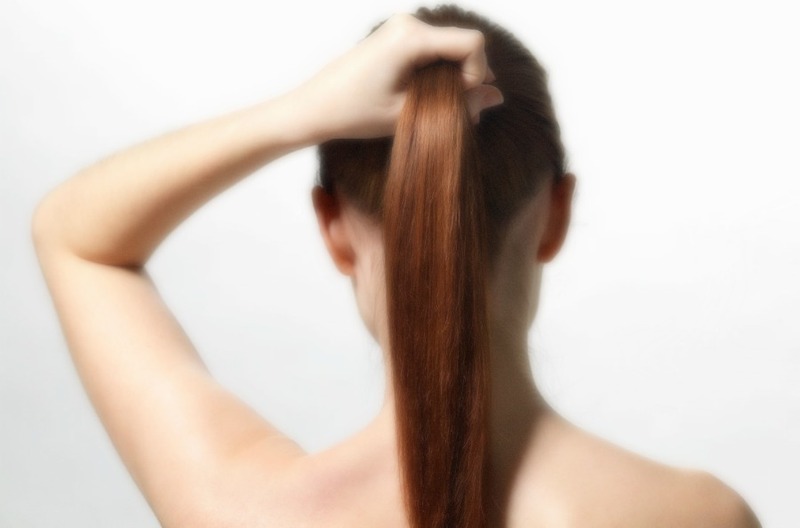 For women (and obviously men), hair loss is a serious beauty concern. It affects the way that we feel about ourselves. We absolutely don’t want to diminish a man’s concern regarding hair loss however, at the end of the day, it is simply a different beast of burden for women. Unfortunately, society has previously forced women to suffer in silence. Hair loss has been considered to be far more acceptable for men to go through. Fortunately, we are now recognizing that both men and women are affected by hair loss and vegan haircare brand ColorProof aims to bring attention to this cause that is affecting more and more women every day … and to help bring relief from this most distressing concern. Jim Markham, CEO and Founder of ColorProof, developed the BioRepair-8 Anti-Aging Scalp & Hair System, a solution-based system for women with aging, thinning, and color-treated hair. This skin-care inspired, scientifically advanced, three-step system uniquely targets the four main causes of female hair loss at the bio-cellular level to regenerate the scalp, improve strength and density, and deliver noticeably thicker, fuller hair. Team TME was fortunate to receive the BioRepair-8 Anti-Aging Scalp & Hair System ($132), which comes in a top-notch kit that thoroughly explains the causes of female hair loss and precisely how these vegan products can help address this issue. Every product in the BioRepair-8 Anti-Aging Scalp & Hair System works at the cellular level using advanced ingredient technology including ColorProof’s proprietary AG-Stem Cell Complex, which is derived from apple and grape to deliver the age-repair power of active plant stem cells directly into the follicle to restore aging tissue. BioRepair-8 Anti-Thinning Shampoo ($44) contains a luxurious signature aromatherapy essence of fresh lime, eucalyptus, mint leaf and rosemary while the Anti-Thinning Condition ($44) and Stem Cell Scalp Serum ($38) contain tea tree, juniper berry, mint leaf and spice. The scents are extremely enticing and offer the perfect scent backdrop for an opportunity to relax with the gentle Scalp Exfoliating Brush ($6) – all while taking care of you hair! 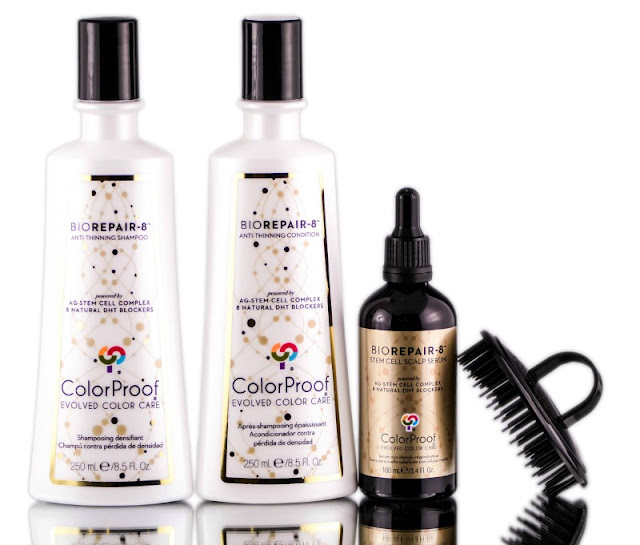 As with all ColorProof products, BioRepair-8 is 100% free of sulfates, salts, gluten, parabens, keratin and any known carcinogens. It is also 100% vegan, cruelty-free and never tested on animals. We don’t think that it gets any better then that! The BioRepair-8 Anti-Aging Scalp & Hair System, and individual products -- including a travel-sized kit ($39) -- are available online at ColorProof and select retail locations throughout North America.